It's time for the world's most famous pair of teen lovers to take center stage at Eureka College. No, not the kids from Titanic. 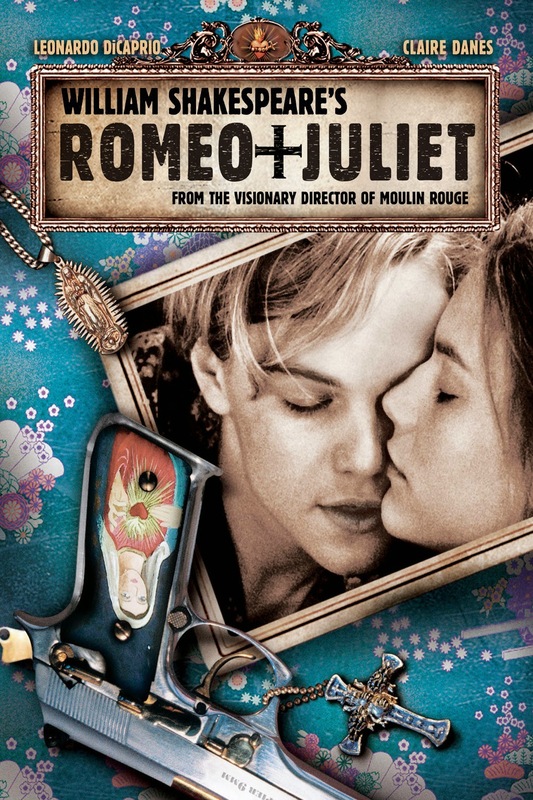 Instead, it's Romeo and Juliet, an early work by Shakespeare that invented the concept of star-crossed lovers. In Shakespeare's tragedy, Juliet Capulet and Romeo Montague come from families that don't get along. At all. In fact, it's unthinkable for a Capulet to think she belongs with a Montague in 16th century Verona. It's swelteringly hot in the streets of Verona, passions and anger are running high, and our teen lovers do not want to be thwarted by stuffy oldsters or feuding cousins who think they know what's best. And Shakespeare doesn't pack any punches -- he has his narrator tell us right from the get-go that this story will end in death. When we get to the end, we hear that there "never was a story of more woe....Than this of Juliet and her Romeo." Is it a tale of love that cannot be denied? Of how dangerous it is to ignore what your parents want for you? A cautionary tale about taking rash action or trying to defy fate or trying to keep love alive in a hostile world? Whatever it is you think Shakespeare was trying to say with his Romeo and Juliet, it has proven to be one of his most popular plays. It's the one that the Victorians revived with a happy ending (as recreated in The Life and Adventures of Nicholas Nickleby), the one that got a ballet from Prokofiev, the one that shows up in dozens of operas and pop songs, the one Leonard Bernstein, Arthur Laurents and Stephen Sondheim turned into a modern musical gang war in West Side Story, the one Joe Calarco set in a boys' school in Shakespeare's R&J, the one Franco Zeffirelli and Baz Luhrmann both put on film, and the one we see Will Shakespeare working on in Shakespeare in Love. Professor Marty Lynch directs Romeo + Juliet (note the spelling reminiscent of Lurhmann's movie) for Eureka College with a production set in contemporary America. The rival Montague and Capulet families are now warring political factions. Lynch has indicated he hopes to emphasize the humor in the piece in the early going, with the intention of making the tragedy at the end stand out in sharp relief. Eureka College notes that the production will contain violence and some crude humor. Lynch's cast includes Coleman Payne and Hattie Standridge as Romeo and Juliet, with Kristen Franz as Mercutio, Jake Geiger as Benvolio, Jason Punke and Veronica Kudulis as Romeo's dad and mom, Belle Grober as Tybalt, Anna Dabrowski as Juliet's nurse, Christopher Tam and Cathy Sutliff as Juliet's parents, Gretchen Schlossler as the friar, and Emmalie Dabrowski, Hannah Lane, Trevor McDaniel, Kirstin Meyers, Jessica Rogers, Ben Schultz and Emily Smith completing the ensemble. Eureka's Romeo + Juliet begins at 7:30 pm on February 25, 26, 27 and 28 at Pritchard Theatre. Tickets are priced at $10 for general admission and $7 for students. 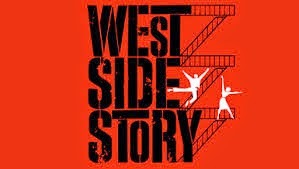 For reservations, contact the box office at 309-467-6363, e-mail tickets@eureka.edu, or go to www.eureka.edu/events to pick a specific performance and purchase online. Romeo and Juliet is one of those plays that's so absorbed into our culture that everybody thinks they know it and figures it's corny and tired. But it is in fact great. I was lucky enough to see the Zeffirelli production for the Old Vic when it toured to Chicago, I'm still a sucker for his movie, and I adore the Prokofiev ballet. I find it so interesting that it had a commercial run on Broadway in 2013 -- that's hardly ever attempted for Shakespeare any more (the subscription and regional theaters have taken him over). They must have been hoping for a longer run than 93 performances, but the cast looked interesting: Orlando Bloom and Condola Rashad as the star-crossed pair, plus Brent Carver (Friar Laurence), Chuck Cooper (Lord Capulet), Jayne Houdyshell (Nurse), Justin Guarini (Paris), Geoffrey Owens (Escalus).